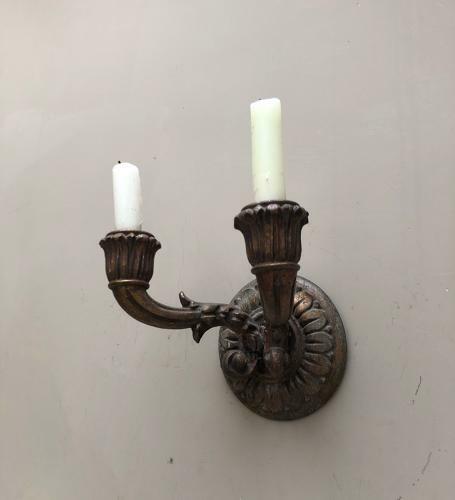 Victorian Giltwood Double Candle Sconce. Hook on the back to easily wall hang. Candles fit in easily. Small repair centrally but all sturdy and strong.